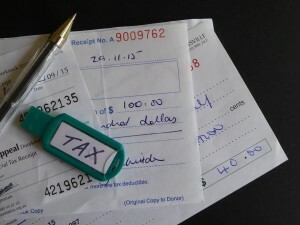 Many homeowners question if any of our plumbing services, including sewer repair, are tax deductible. This is a very legitimate question as there are times that the cost is extensive. As with some other types of major home repair or improvement jobs, plumbing can be costly. As the law stands, you can't deduct repairs to your home on your tax return, no matter how expensive the repair job was. But be aware that the types of home improvement jobs that CAN be deducted are any work that is adding an alternative power source (such as solar) or an insulation type of job. There are cases where energy-related tax credits are available specifically for major plumbing work. An example of this would be if you install a geothermal heat pump or maybe if you upgrade your current plumbing system to more energy efficient piping or products. These instances could qualify you for a tax credit. It's important to know that this differs from state to state so check with your state's regulations. In Georgia, the maximum tax credit for all improvements made between 2011 - 2016 is $500.00. You can check the details or see what tax credit regulations are in your state at the DSIRE website. In general, most home improvement costs to repair issues in the home are not deductible but we always urge our customers to save their receipts and keep track of the costs because these can be added to the overall cost of the house. This in turn, reduces the capital gains (which comes into effect when you sell your home). A lower capital gains lowers your tax bill. Note: We are NOT accountants, we ARE plumbers so we do recommend that you consult with your CPA before making any tax decisions and also for any eligible deductions for energy or home improvement for the current year.